Nagios is a host, service and network monitoring program. It is very extended and can be up and running in 15 minutes just by following the Quickstart Guide. Though it is well documented and is easy to follow, it is intended for an Apache audience. After following the quickstart instructions, getting Nagios it to work with Cherokee is really simple. The most elemental set up is one that assumes that a Nagios installation runs on another box and that Cherokee simply sits as a reverse proxy between the Nagios-instance and the world. The only needed configuration on the box running Cherokee would be setting up a rule that matched the above listed paths, and proxied the request to the server running Nagios. 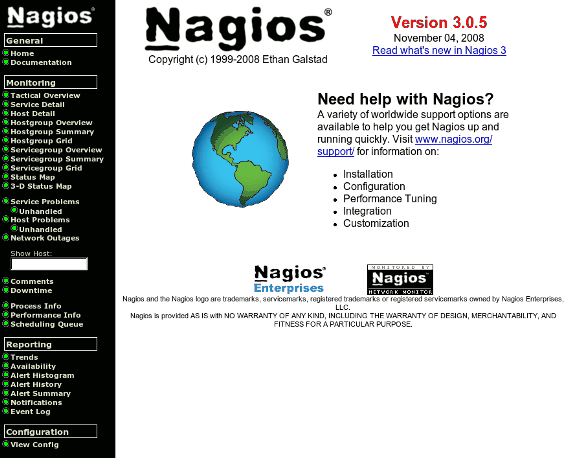 First, define an information source with the parameters of the Nagios box. Within the Behavior tab of your virtual server, choose "Regular Expression" as type of the new rule, and use the expression .*nagios3. * for it. In the Handler section, select the HTTP reverse proxy and assign the information source previously defined. Now, whenever a request to 10.0.0.10 contains the nagios3 substring, it will be proxied to 10.0.0.11. This is and advanced method only namely. In reality, it is exactly as simple. Please note the above paths are the ones used in the Nagios Quickstart guide. The paths are bound to change if you used any prepackaged release. We will translate these directly into a pair of directory-type rules. The first one will match the /nagios/cgi-bin directory, and will be handled by the CGI handler. We will map the /usr/local/nagios/sbin as the Web Directory for the rule, in the Rule tab. The second one will do something similar, only mapping /nagios to /usr/local/nagios/share. 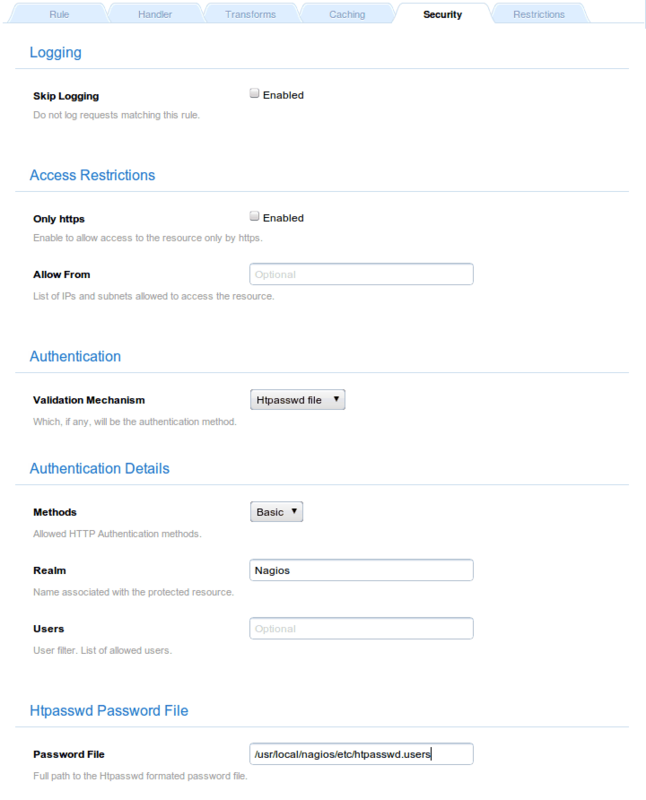 Finally, you can set up the authentication mechanism on both rules by configuring the ‘Security` tab. Choose the Htpasswd file validation mechanism, write the correct Password File (the one you should have created during Nagios’ installation), and input the mandatory realm string, Nagios for instance. Note that this step is optional, since you can secure your application with any other validation mechanism provided by Cherokee. And that was all for today.